Resources for Ceramic Studies in the Southwestern U.S. 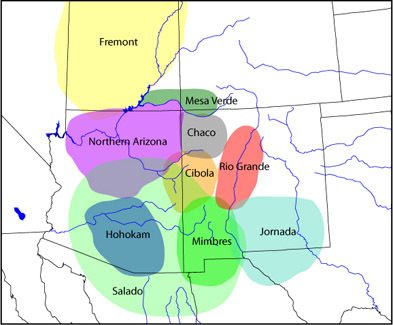 The resources and links on this site are meant to provide a basic introduction to the ceramic traditions of many portions of the U.S. Southwest and Northern Mexico. The materials presented here were compiled as part of a graduate seminar in comparative ceramic typology (ASB 591, Fall 2006) organized by Matthew Peeples and Dr. Michelle Hegmon at Arizona State University. Specific documents prepared by participants in this seminar are credited below. Resources from other web sources are marked as external links. If you have any questions or other resources that might be useful to include, please email me at Matthew.Peeples@asu.edu. Petrofacies - Desert Archaeology Inc.